Special offer! Buy my ebook with all the best blogs posts from 2007 and get these GTD worksheets for free! 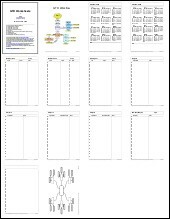 I’ve recently created some handy GTD worksheets that are perfectly suited for creating or enhancing your own paper-based or hybrid GTD system. They are handcrafted by me based on my own experiences with paper-based GTD systems. Click the image to the left for a slightly larger preview of these GTD worksheets. If you enjoy thinking and working on paper but at the same time you’d like to have professional looking GTD lists, then these GTD worksheets are definitely for you! 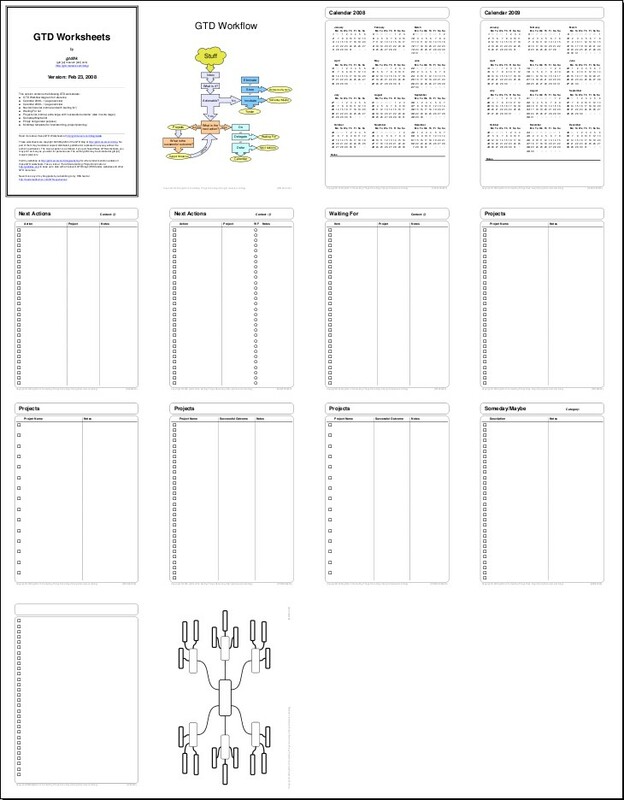 As of today I’m selling these GTD worksheets in one handy PDF in my online GTD shop. The PDF format ensures ultimate portability and flexibility. You can easily print each worksheet on any kind of paper in any size required. I encourage you to provide me with feedback about these GTD worksheets so I may continue to improve them for the next version of this set. If you have special requirements or wishes for a GTD worksheet, please contact me directly at gtd [at] marvelz [dot] com to discuss the possibilities. Don’t wait, purchase my GTD worksheets today and create your own professional paper-based GTD system!